The Easiest "Framed" Chalkboard You Could Ever Make! 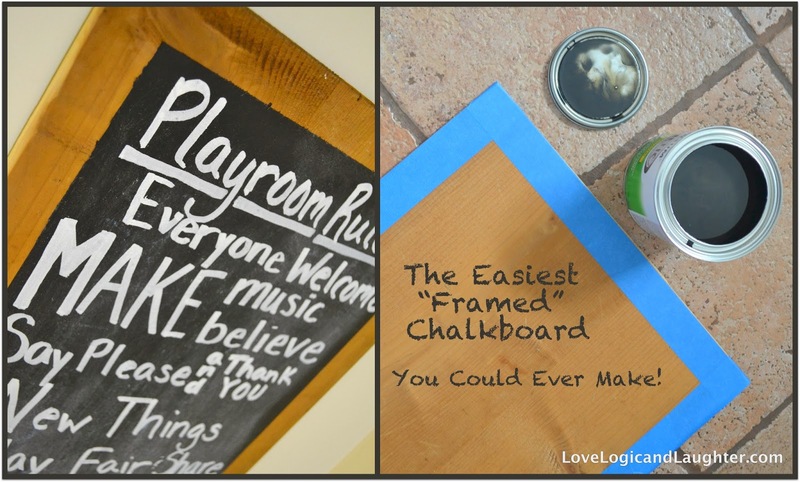 | Logic & Laughter Logic & Laughter: The Easiest "Framed" Chalkboard You Could Ever Make! The Easiest "Framed" Chalkboard You Could Ever Make! By now you all know that I love chalkboards! They are one of my favorite tools to use when decorating or planning a party. They easily add a personal touch to an event or when just decorating in everyday life. If Jonathan has a good day at work, Great! He can come home to a new message on the chalkboard that is on display in our kitchen. 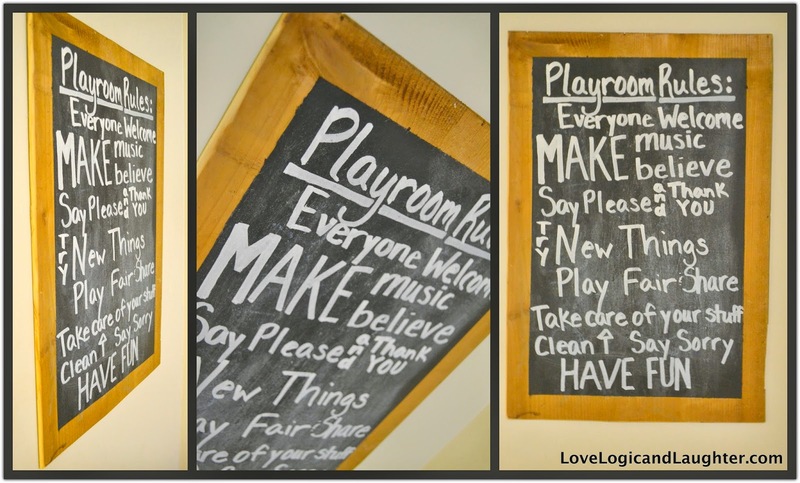 This particular chalkboard (below) hangs in the entrance to the playroom on a regular basis but has been used in both my sister Lauren's and my girlfriend Michelle's wedding showers. 1:Chalkboard Paint. 2:Painter's Tape. 3:Wood Board. Step 1: Find a Board. I had the below board from another leftover project. It is old and a bit beat up, but I like the character it brings to the "frame". Wallah! Done! The easiest "framed" chalkboard you could ever make!